While lots of things can be considered wardrobe staples, there’s nothing more classic than a plain white button-down. It’s got a polished appeal that’s perfect for work, but looks effortlessly chic paired with jeans for the weekend. I’ve had this particular button-down for years! I bought it from my sister at Neiman’s in December 2013, and it’s been one of my favorite basics ever since. I’ve worn it layered under dresses (remember this London Fashion Week look? also wore it under a LBD at NYFW in 2014), on an overseas flight with leggings (to Paris in 2014! ), and most often with other casual basics like skinny jeans and simple heels. 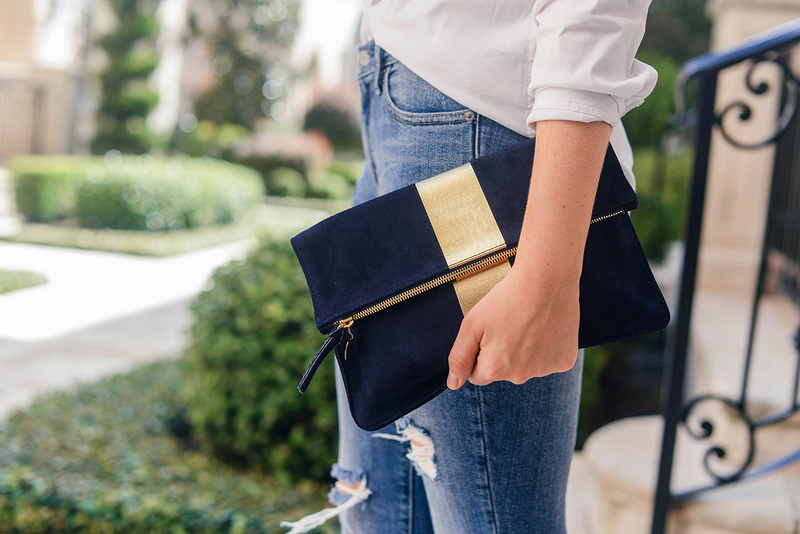 PS – I received this pretty Clare V. clutch as part of Vogue’s new VIP members-only program, which you should totally check out. Get inside access to exclusive content, a year-long subscription to Vogue, monthly Q&A’s with Vogue editors, and more! A stunning look – so classy and chic! 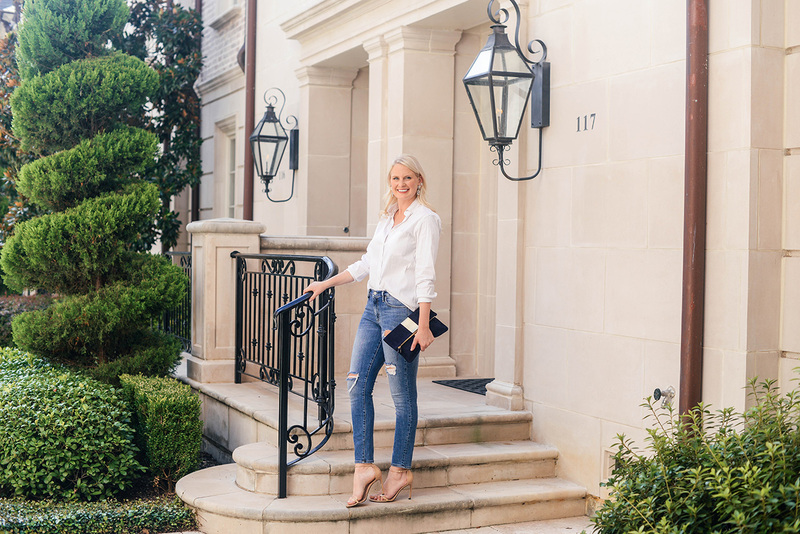 Love these jeans Merritt! And all of these great basics! Love Theory basics. And loving that Clare V. Having fun following along on your NYC trip, looking forward to seeing more!